← The World’s Largest H. P. Lovecraft Audio Links Gateway! My personal Lovecraftian treat for 2013! 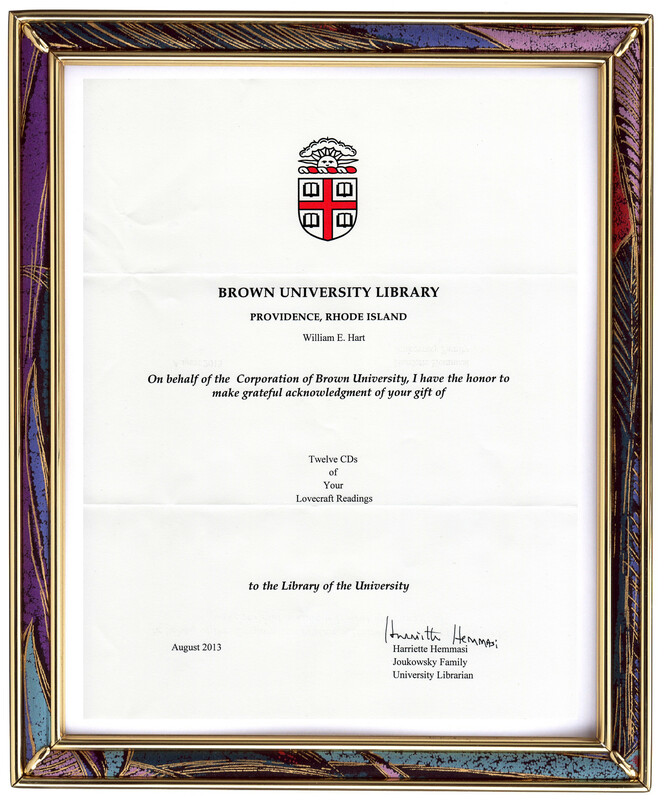 In late August, 2013, I sent a set of twelve CD’s of my Lovecraftian readings to Holly Snyder of Brown University in Providence, Rhode Island, as a donation to the H. P. Lovecraft Collections of the John Hay Library. And just last week, on Friday, the 8th. of November I received the acknowledgment letter I have posted above. 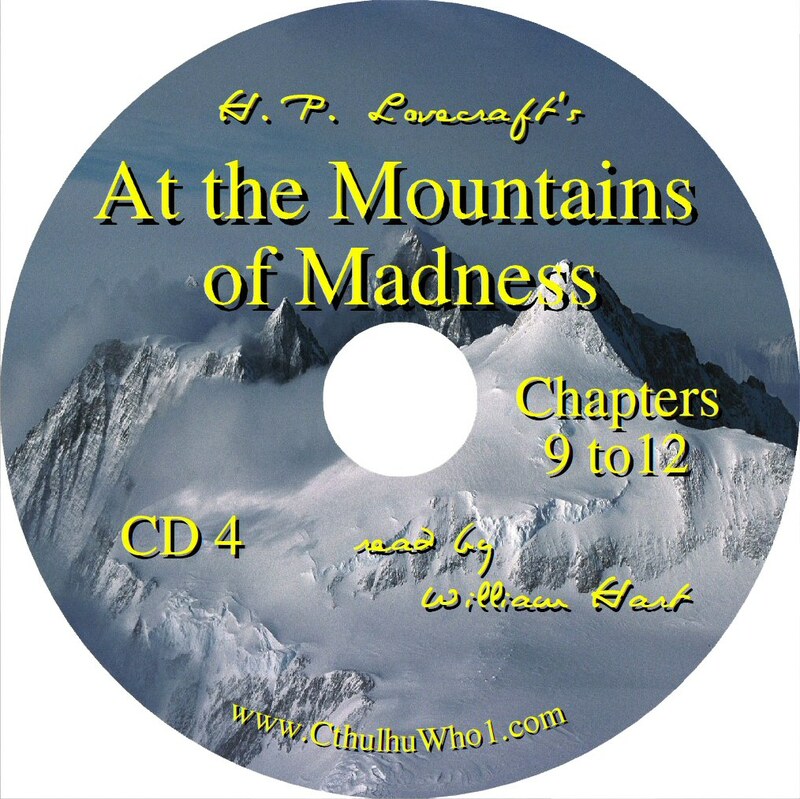 I do freely provide all of my Lovecraft readings here on my blog and on YouTube for anyone who wants to download them, but I also like the idea that a very limited edition set of the CD’s are in the Brown University Library system; which I hope means they will become part of The H. P. Lovecraft collection in the John Hay Library. I have also given permission for anyone interested in the CD’s to make personal copies too. My “Eldritch Leanings” fanzines, as part of the Esoteric Order of Dagon (E.O.D.) Amateur Press Association mailings of the late 1970’s and early 1980’s, are already part of the Lovecraft collections, so these CD’s aren’t my first appearance there; but they are my most heart-felt contributions, and I hope they will entertain Lovecraftians at Brown University for many decades to come. Please let me know if and where you personally see my CD’s in any of the Brown University libraries. At the Mountains of Madness on four CD’s. 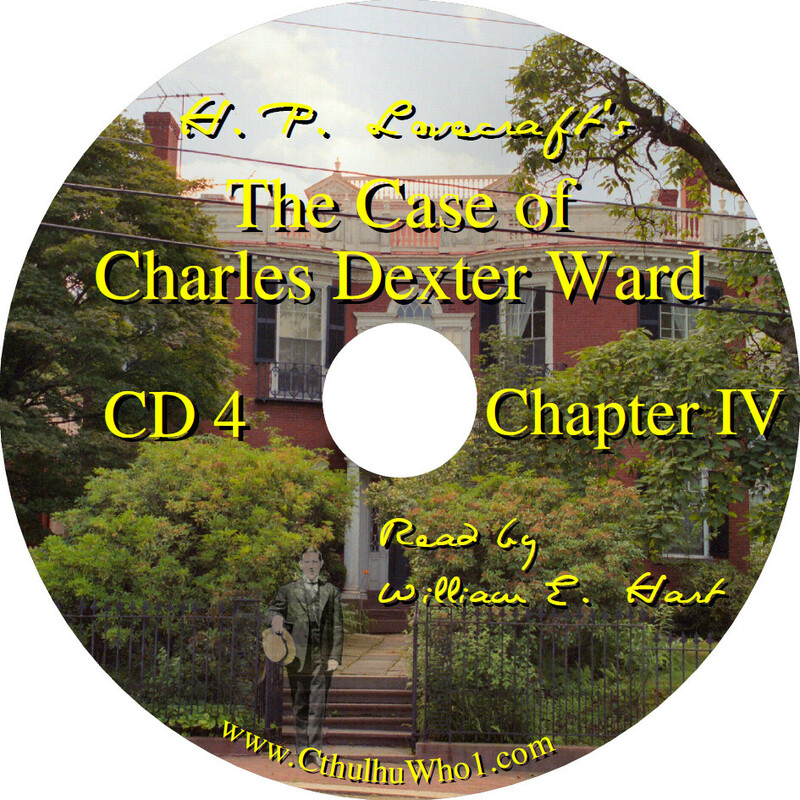 The Case of Charles Dexter Ward on six CD’s. 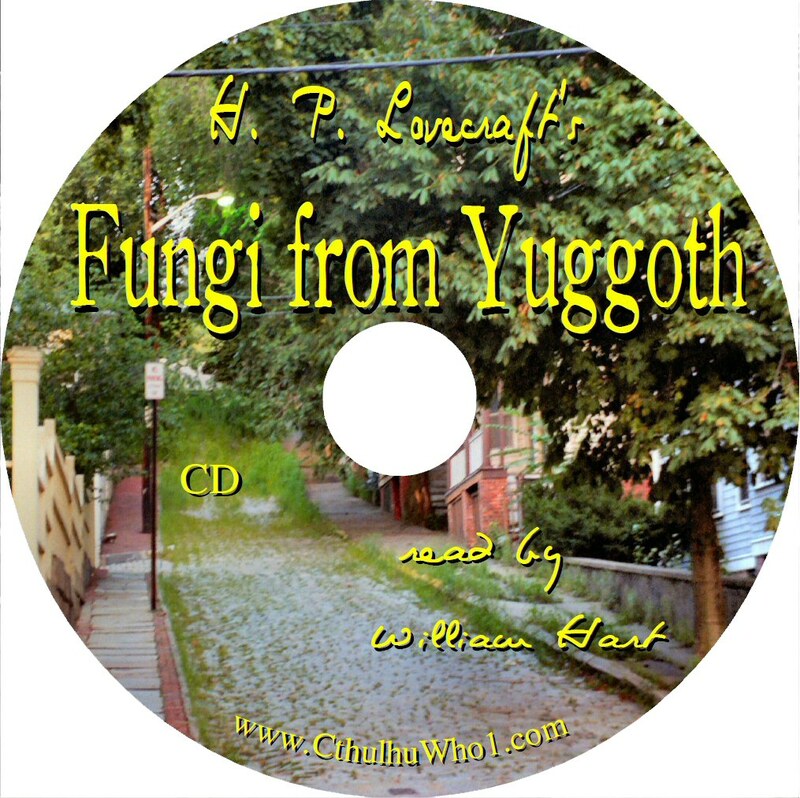 Fungi from Yuggoth on one CD. 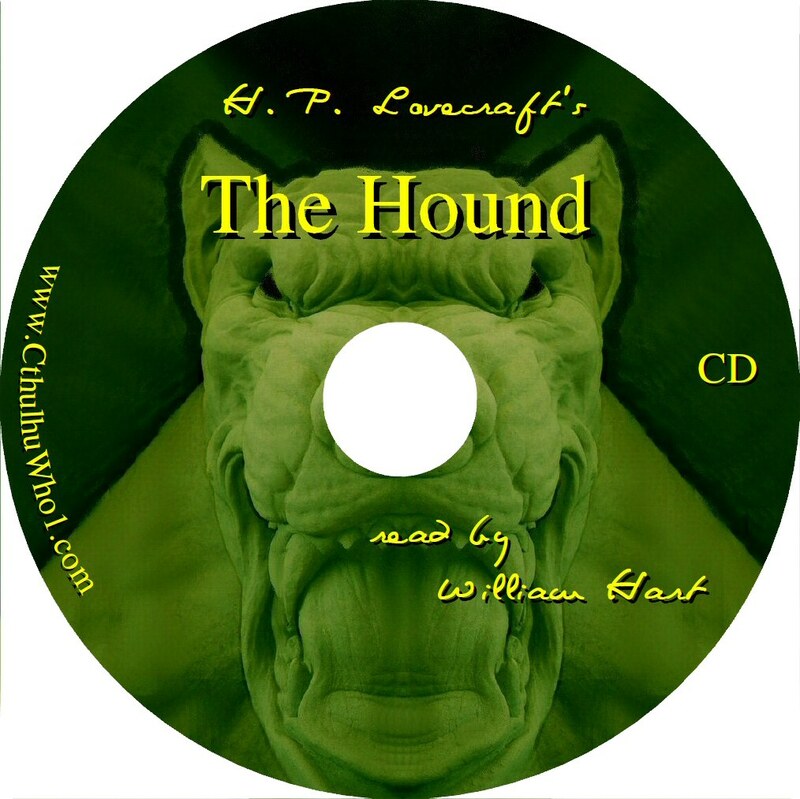 and The Hound on one CD. The artwork for all twelve of the CD’s can be downloaded below for those who want to burn their own copies. The CthulhuWho1 Lovecraft Flickr Collections (with over 3700 images) at: http://www.flickr.com/photos/cthulhuwho1/collections/ Viewed over 964,012 times! And The CthulhuWho1 YouTube Channel Videos at: http://www.youtube.com/user/CthulhuWho1 Viewed over 53,464 times! With the over 87,232 views of this blog, combined with the above numbers, that’s a grand total of over 1,104,708 views! And the numbers are rising as I type these words! This entry was posted in At the Mountains of Madness, Brown University, Case of Charles Dexter Ward, Fungi from Yuggoth, H. P. Lovecraft, Hound, John Hay Library, Readings. Bookmark the permalink. Thank you so much, Will, for all the time and effort you expend in your devotion of H. P. Lovecraft and your generous willingness to share. Everyone, remember, you may make your own copies of Will’s recordings free and he has even supplied artwork. Very cool and very well deserved. I’ve worked my way through most of your archive but your readings genuinely stand out. Cheers Will, and keep up the good work. David. Thank You David for the kind words! And I hope you will try many of the great audio recordings done by others too that are linked in the Lovecraft Gateway here. Mine is just one of the voices that are provided freely all over the web; and I just hope it pays proper tribute to H. P. Lovecraft! Really like your site. You have all the Lovecraft audio all in one place. Makes things easy. I put in a lot of windshield time so its great to have them available. I couldn’t find, “The Mound” or, “The Curse of Yig” anywhere but you found them. Anyway I found a couple links that aren’t on your master list there. Both are ghost writings/”collaborations” so whatever. Many Thanks for the comments and for the additions that I will add to the Gateway! In the meantime, come on over and join the fun in The World of H. P. Lovecraft Audio group on Facebook!